Cookies are small files—usually consisting of letters and numbers—placed on your computer, tablet, phone, or similar device, when you use that device to visit a web site. Cookies are widely used by web site owners to make their web sites operate, work more efficiently, and provide analytic information. Essential Cookies: These Cookies are required for the operation of our Sites (for example, to enable you to log into secure areas of our web site or use a shopping cart). These Cookies enable you to move around the Sites and use their features. Disabling these Cookies will encumber the Sites’ performance and may make the features and service unavailable. Analytics and Customization Cookies: These Cookies allow us to analyze activities on our Sites and on other sites where we post content in order to improve and optimize the way our Sites work. For example, we may use these types of Cookies to ensure that visitors can easily find the information they are looking for on our web sites. One way we do this is to recognize and count the number of visitors and see how they move around our web site when they are using it. Analytics cookies also help us measure the performance of our advertising campaigns in order to help us improve our advertising campaigns and to optimize our Sites’ content for those who engage with our advertising. Functionality Cookies: These Cookies are used to recognize you when you return to our Sites. This enables us to personalize our content for you, greet you by name, and remember your preferences (for example, your choice of language or region). Other Cookies operate from the time you visit an Intel service to the end of that particular web browsing session. These Cookies expire and are automatically deleted when you close your Internet browser. These Cookies are called “session” Cookies. Some Cookies will stay on your device between browsing sessions—they do not expire when you close your browser. These Cookies are called “persistent” Cookies. The length of time a persistent Cookie stays on your device varies from Cookie to Cookie. We and others use persistent Cookies for a variety of purposes, such as to store your preferences so that they are available for the next visit, and to keep a more accurate account of how often you visit our Sites, how often you return. 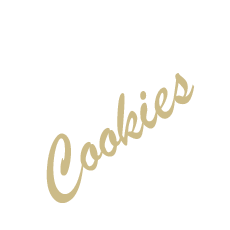 Cookies may be placed on your device when you use our web pages and look for information on our web site. These Cookies are called “first party” Cookies. Some Cookies may be placed on your device by a party other than us. These Cookies are called “third party” Cookies. For example, one of our partners may place a third party Cookie to enable online chat services. You can also use a browser plug-in such as Ghostery* from Cliqz International GmbH or the Tracking Protection List* from TRUSTe. (A browser plug-in is a piece of software which adds extra capabilities to your browser—for example, to play video or scan for viruses.). Adobe Flash Player* is software for viewing multimedia on a computer. Web sites that use Adobe Flash* may store flash cookies on user’s devices to remember settings, preferences, and usage similar to other types of Cookies. These flash Cookies may also be known as Flash Local Shared Objects (LSOs). Intel may use Flash LSOs to provide special content, such as video and animation playback. You can find a good summary of how to manage Flash LSOs at http://www.macromedia.com/support/documentation/en/flashplayer/help/settings_manager03.html.